He’s been saving the world from assorted villains these past 50 years – and now James Bond is backing Britain. Currently being aired in 21 countries, VisitBritain’s new promotional campaign has put 007 on the case. 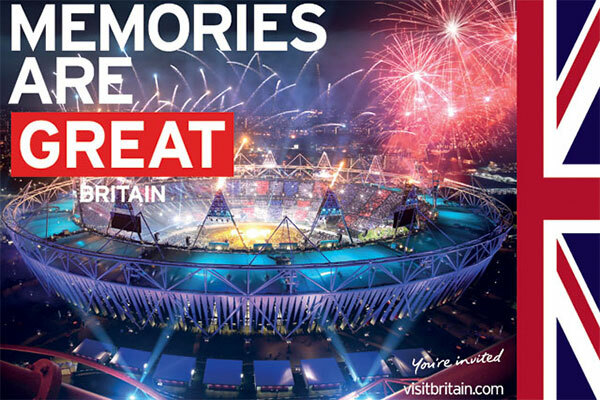 VisitBritain’s ‘GREAT Britain’ campaign also draws together major events, sporting achievements and commercial partners to promote the UK as a great country in which to live, study, invest and do business – as well as to visit. In my book, the GREAT Britain campaign is a real winner. So what can it teach those of us in branding and brand management about the principles of country branding? Consistent, unified communication founded on a central idea is always a cornerstone of effective brand building. Using greatness as the central idea was a gamble to say the least, because it is both fairly ambiguous, potentially arrogant, and easy to shoot down if it isn’t actually true. However, the massive organisational and sporting triumph which we achieved at the Olympics has genuinely put GB back on the map as a great nation – a surprise even to ourselves as we have become chronically used to putting our nation’s performance down as second rate. As with any brand, the message also needs to ring true to internal employees – or in this case, citizens. Avoiding the obvious icons such as red buses, monarchy and bowler hats was a very good thing because, even though these elements will always be part of brand Britain, they simply don’t mean much to vast amounts of us any more due to our diversity. I genuinely believe Great Britain as a tourist destination is also great, so the idea holds true here as well. Putting sun-worshipping to one side, you will be hard pushed to find a country anywhere on earth which has as diverse a natural environment, culture and heritage as Great Britain within a relatively small landmass. What is also important is how that message is actually delivered. I believe a big part of the success of the campaign is in the consistency of GREAT Britain as a brand. All partners, including VisitBritain, UK Trade & Investment, the British Council and the Foreign Office are speaking with one voice. That’s what makes the brand coherent, identifiable and successful. …and with a trillion pounds plus in national debt, god knows we need some success! Although the Olympics technically and visually weren’t part of the GREAT Britain campaign, they certainly couldn’t have been a better ambassador for it. Around a billion people across the world watched the opening ceremony, a show that was great in its cinematic and story-telling ambition, and of course in our great humour. The masterstroke of course being the almost surreal insertion of James Bond greeting HM The Queen at Buckingham Palace followed by the monarch apparently parachuting into the Olympic stadium for the big event. On the visual front, you obviously need to have great visual quality (photography, typographic consistency, etc) to support this particular big idea. Quality and consistency can often be a big problem to maintain once a campaign gets implemented in local markets. Realistically you can’t do this without brand management technology and a good example is The Canadian Tourism Commission who use our brand and digital asset management software to implement Brand Canada around the world. The lesson here is how tying into current films, music or other media can amplify your message without amplifying the cost. Much of Skyfall, the new Bond movie, is filmed in iconic London locations including the National Gallery, Whitehall and Greenwich, as well as in the Highlands of Scotland – all strong in promoting the tourism message. Certainly VisitBritain is making capital from the film’s subliminal imagery coupled with the global fascination with the quintessentially ‘British’ James Bond. Indeed, the advertising value couldn’t be better, both for the film and the VisitBritain message. Commercial partnership with other appropriate brands can give your campaign added reach – because partners will broadcast your messages for you. For instance, British Airways has done much to promote London 2012, supporting VisitBritain to encourage tourism. Other partnerships with travel brands such as Expedia, STA Travel and Virgin Australia are also designed to promote offers across a wide consumer base in key markets. By making these strategic commercial liaisons, VisitBritain is able to extend its message way beyond the limits of its own media budget. My own view is that the GREAT Britain campaign is a masterful example of branding, joined-up communications and consistent brand management. What they have done is seize the moment of maximum potential and exploit it brilliantly, backing the whole with strong brand management and imaginative communications. So, Mister Bond, we are expecting great things! But please, please, Mr. Bond, don’t drink too much Heineken, don’t even think about holding up a branded cola, and get back in your Aston Martin. Fifty years of brand equity will be diluted very quickly if you milk it too hard.